Mexican midfielder who joined FC Barcelona and Mexico's national team in 2009. 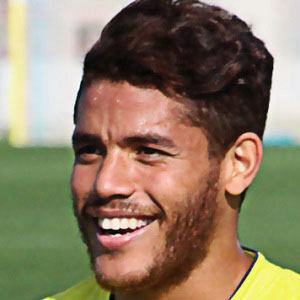 He played for Spanish club Villareal CF in 2014 up until 2017 when he joined LA Galaxy. He joined Barcelona's youth system at age 12. He won two La Liga Titles and two FIFA Club World Cups during his first four seasons with Barcelona. He was raised with four brothers, including fellow midfielders Giovani and Eder. He became teammates with Guillermo Ochoa on Mexico's national soccer team.